Please note that the content of this book primarily consists of articles available from Wikipedia or other free sources online. Highway systems by country describes the highway systems available in selected countries. 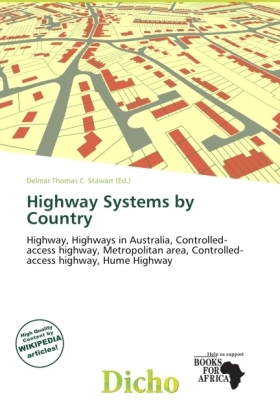 In Australia, a highway is a distinct type of road from freeways, expressways, and motorways. The word highway is generally used to mean major roads connecting large cities, towns and different parts of metropolitan areas. Metropolitan highways often have traffic lights at intersections, and rural highways usually have only one lane in each direction. The words freeway, expressway or motorway are generally reserved for the most arterial routes, usually with grade-separated intersections and usually significantly straightened and widened to a minimum of four lanes.